Research papers on Cultural Assimilation discuss the interconnection of cultures in society. As people around the world become more and more interconnected, cultural assimilation is more likely to take place. This process is one whereby one culture comes to resemble that of another; it can occur on the individual level or with entire societies. When people migrate to a new area, they can be pressured to leave their old cultural identities behind and become more like the culture to which they have moved. 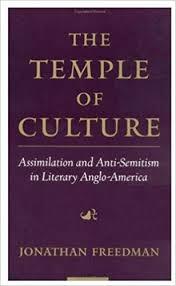 If this takes place and their cultural practices more closely resemble their new surroundings as opposed to their former ones, they are said to have been assimilated into the dominant culture. Sometimes this is done as a matter of survival, such as adopting the language of the new environment in order to effectively communicate. Other times, this is done as a matter of peer pressure, such as changing one’s clothing style to avoid criticism. Assimilation can be partial or complete. If small changes are made to a person’s cultural identity, they are partially assimilating with their new culture. Changes to language and clothing, for example, are indicative of partial assimilation. Complete assimilation takes place when a new person in a given society looks no different from those who have existed there for a lengthy period of time. In the United States, complete assimilation is almost impossible to discern due to the wide array of cultural traits that make up American culture. Because ethnic neighborhoods still exist, because food choices still reflect great cultural diversity, individuals are not required to abandon their former cultural traits to integrate into the larger American society and culture. Cultural Pluralism - Cultural pluralism, by definition, refers to a situation whereby small minority groups inside a larger society are able to maintain separate and unique cultural identities. Cultural Exchange - Cultural Exchange research papers examine the formal or informal exchange of individuals, students, scientists, or artists between cultures. Cultural Awareness - "When everyone first began to speak about cultural diversity, it was exciting," she writes; "For those of us on the margins. Cultural Pluralism - Cultural Pluralism research papers discuss the cultural subgroups and how their values, beliefs and diversity can contribute to larger societies. Cross Cultural Education - Cross Cultural Education research paper supporters of cross-cultural education view it as a critical tool for creating a genuinely cross-cultural society in which “diverse but socially acceptable” behavioral. Ethnic Minorities - Ethnic Minorities research papers Ethnic groups are frequently defined by language, religious, cultural. Order a research paper on minorities from Paper Masters. Cultural Literacy - Cultural literacy research papers examine how cultural literacy is the information required to carry on intelligent, relevant conversations with the people. Cultural Divergence - Cultural Divergence research papers explain the tendency for cultures to become dissimilar over time. Ethnicity - Ethnicity is different than race in research papers that examine social stratification. Language and Culture - Language and culture research papers examine geography in light of cultural aspects of language. Ethnographic Research - Ethnographic research research is a type of research paper which is a descriptive study of society, and is typically used in cultural anthropology. Cultural Analysis - Cultural analysis research papers examine a method of qualitative research employed in the social sciences, especially the disciplines of ethnography and anthropology. Paper Masters writes custom research papers on Cultural Assimilation and discuss the interconnection of cultures in society.